A delicate 14ct Strawberry Gold chain boasts an elaborate, sparkling pendant from Le Vians. 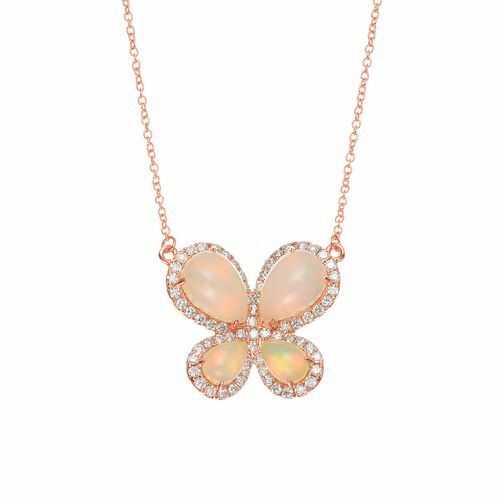 Four delectable Opal stones are arranged in a butterfly design, with Vanilla Diamond details. Simply beautiful. Indulge in delectable Chocolate Diamonds from Le Vian.